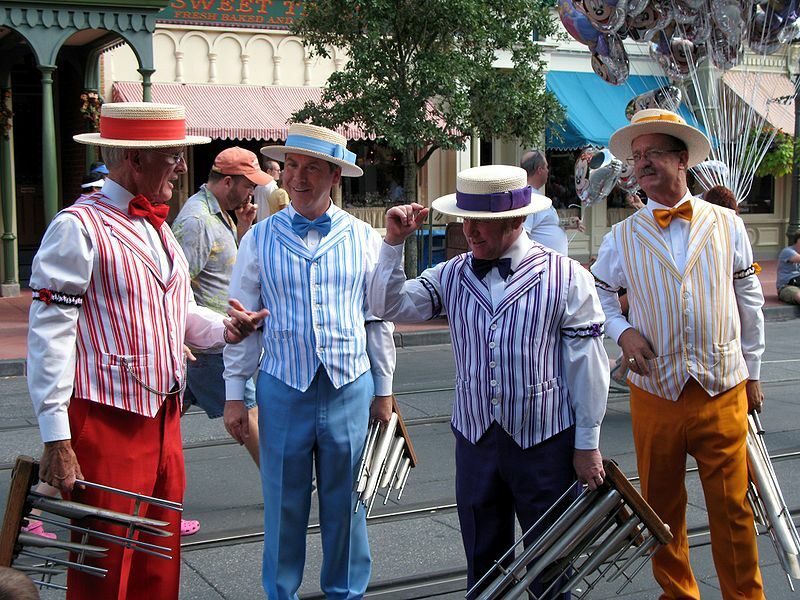 The Dapper Dans are an American barbershop quartet, best known for their work at Disneyland. They voiced the Be Sharps' singing voices, Jim Campbell (bass, singing for Seymour Skinner), Shelby Grimm (lead tenor, singing for Clancy Wiggum and Barney Gumble), Mike Economou (tenor, singing for Apu Nahasapeemapetilon), and Don Jordan (baritone, singing for Homer Simpson) in the season 5 episode "Homer's Barbershop Quartet", although their singing was mixed with regular voice actors singing. They also helped co-write the song "Baby on Board". Modified on April 18, 2017, at 06:37.